Beyond Words, by Carl Safina, was written by an animal lover for other animal lovers. His mission is to convince his readers that animals are capable of the full range of emotions experienced by humans and that their communities are often as complex and varied as human communities. His hope is that humans who understand the feelings and capabilities of animals, will therefore treat them with the respect they deserve. It is a worthy cause and not hard to sell to this animal lover. Safina begins by lamenting the sorry state of scientific inquiry into animal behavior. He speculates that the dominance of humans in the environment fostered a condescending attitude toward animals that prevented scientific inquiry of the animal kingdom until very recently. Animals were perceived by humans as utilitarian objects to be exploited for food and transport or destroyed if perceived as a threat or a competitor. This attitude is still prevalent in human societies. One of the first studies of animal behavior was Jane Goodall’s long association with a community of chimpanzees. When she wrote papers about her observations, she faced extreme resistance to their publication. One of the most common reactions of the academic scientists to studies of animal behavior has been to dismiss them as anthropomorphic projections of human feelings and motivation. He watches elephants in Africa as they go about their business under the watchful eyes of park rangers trying to protect them from poachers. He joins teams of volunteer observers of wolves in Yellowstone National Park. He follows orcas (AKA killer whales) with researchers in Puget Sound in Washington State. A full range of human emotions are implicit in these incidents, such as loyalty to one’s friends and family and maternal love. There is as much variety in the structure of animal communities as there is in human communities. Elephant communities are matriarchal. The oldest female is the leader of the group and the group is composed only of females and their offspring. When male elephants reach maturity they wander on their own, interacting with matriarchal families only when the females are in heat. Leadership is conferred on the oldest female because she is the most experienced member of the group. She is therefore in the best position to make important decisions about where the group will go for food and how they will respond to threats from their predators. The quality of that leadership can vary based on the personal attributes of the oldest female, but seniority is the only apparent criterion for that role. In contrast, the leadership of the wolf pack is the male and female alpha pair. That status is achieved by virtue of physical strength and dominance; in some cases leadership is more magnanimous than it is dominant. The male and female young of the alpha pair are also members of the pack, but personalities or loss of key members can splinter the pack. 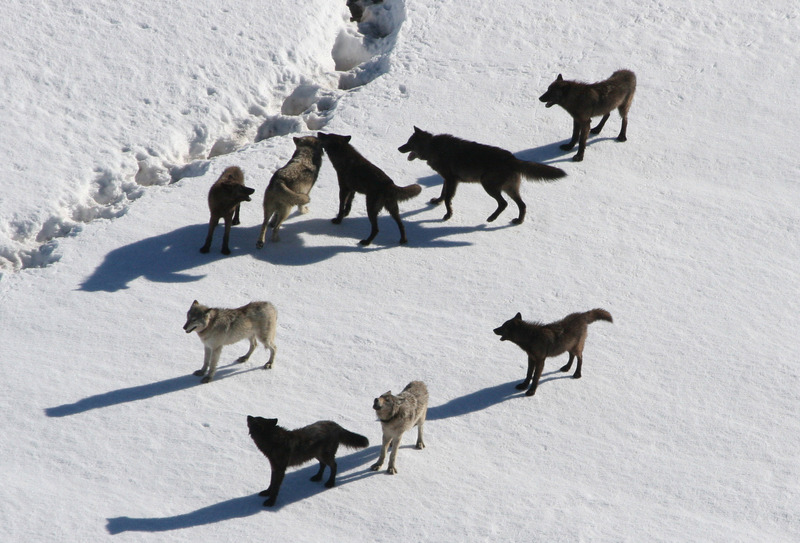 There is intense competition for hunting territory and mates between packs and sometimes within packs. This competition is often physical, and results in the death of members of the pack. Safina tells us that as many wolves are killed by other wolves, as are killed by humans with guns. The wolf pack resembles human families and communities. Sibling rivalry is common. Tribal competition between packs resembles human secular and sectarian wars. The volunteer observers of wolves in Yellowstone Park are extremely dedicated to their task. They explain their obsession by pointing out that the lives of wolves are much like watching a soap opera. While it is possible to generalize about the behavior and social structure of animal communities, we must also keep in mind that there is much individual variation. Just as humans have distinctly different personalities, so too do animals. Safina often turns to his dogs to illustrate this variability within species and we can do the same. Our family has lived with nine dogs, usually in pairs. No two dogs were exactly alike. One was as shy as another was gregarious even though they were the same breed. Some were obsessed with catching balls; others were completely uninterested in them. Some were very attached and responsive to their human guardians, while others were independent. Safina tells us that our dog companions evolved from wolves. Less shy members of wolf communities were willing to approach human settlements where they could often find discarded food. In exchange, dogs alerted humans to the presence of predators. This partnership developed over thousands of years. While the dogs were domesticated by that relationship, they changed physically to conform to the requirements of their new, less active life, becoming cuddlier to accommodate the preferences of humans. Likewise, humans have been domesticated by changes in their lifestyles. Hunters and gatherers had to be much more observant about their surroundings than humans in agricultural communities. Hunters were always wary that they could easily be the hunted. Gatherers were always looking for edible plants; knowing the difference between edible and inedible plants was a matter of life and death. The territorial range of agricultural communities is small compared to that of foraging communities. Animals are often the losers when human populations grow and their communities expand into animal habitats. In the case of elephants, the value of ivory is threatening their future in Africa. In the case of wolves, their appetite for domesticated animals makes them targets of ranchers. When endangered status of wolves is removed, wolves are quickly killed when they stray out of national park boundaries. Wolf packs must travel great distances to find the prey they need and the park boundary is only an abstraction that does not restrain their movements. The threats to orcas in Puget Sound are many and are associated with many anthropogenic changes in the environment. Agricultural runoff from industrial sized feed lots and pesticide applications pollute the water. Pesticides are also used to kill marsh grasses so that huge clam beds can be installed on the shores of Puget Sound. Human sewage is sometimes inadequately treated before it reaches the sound. All of these sources of pollution are a factor in declining populations of salmon. Salmon populations have also declined because dams have blocked access to their spawning streams and the streams they used to reach them have been channeled and diverted into culverts. Overfishing is another factor in declining salmon populations. Global warming has increased water temperatures in oceans, which has disrupted the entire ocean food web. All this results in less food for orcas. 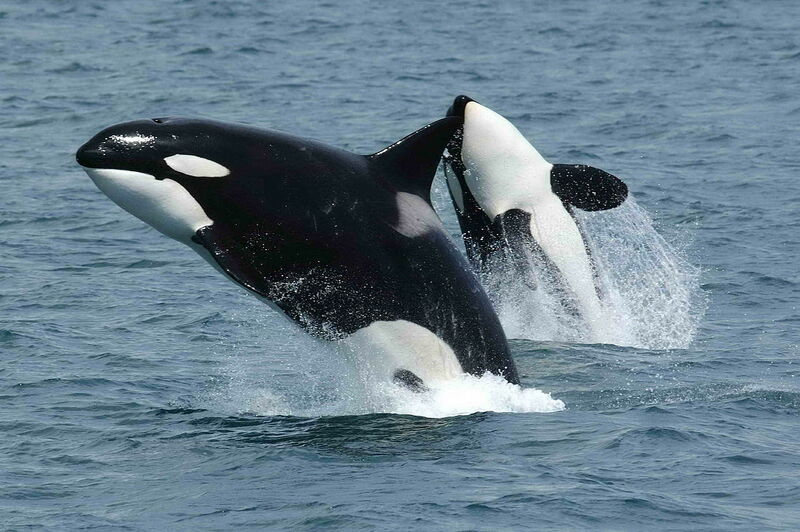 Consequently, orca reproduction has declined significantly and infant mortality of orcas has soared. The future of orcas in Puget Sound is very much in doubt. Carl Safina has written an excellent book that we recommend to our readers without reservation. 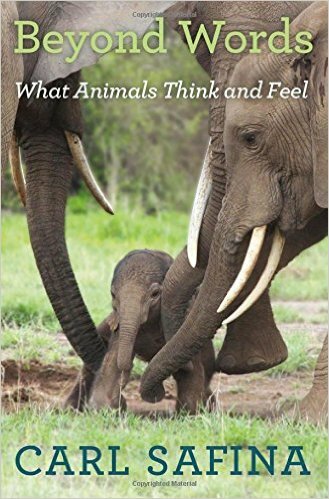 We guarantee that it will warm your heart to read about animal communities that share both the positive and the negative aspects of human societies. We hope it will make you reflect, as it did us, about the ways in which the activities of humans intrude on the lives of animals. Thank you, Mr. Safina, for giving us this opportunity to learn more about our animal friends.